By TLex It's been a while since I posted anything from Schäuble & Söhne. 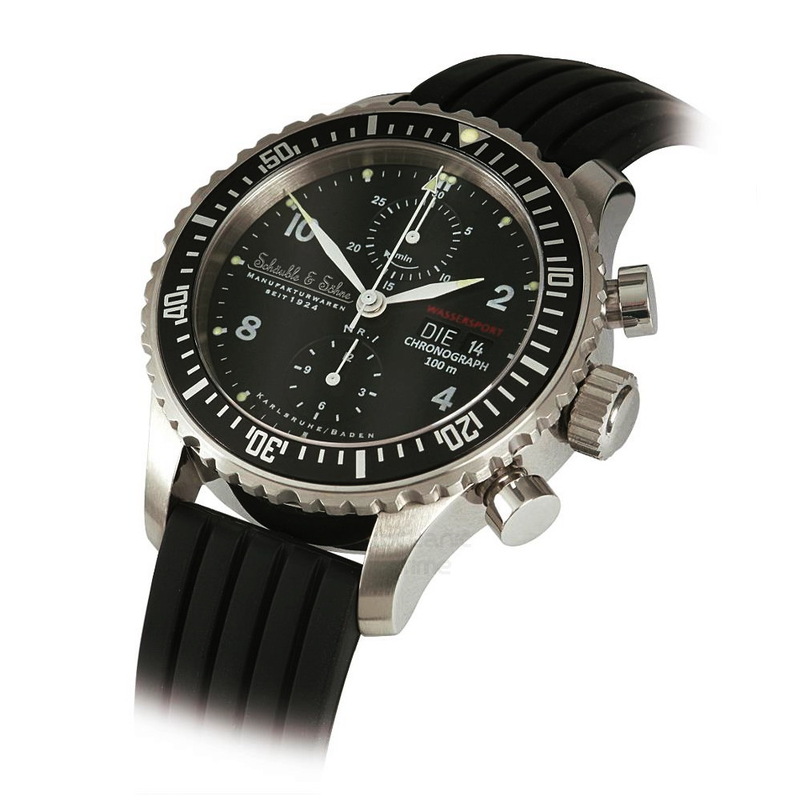 The Wassersport Chronograph is their latest sports edition due for release this year. The watch houses a modified Swiss made ETA Valjoux 7750, automatic movement and is water-resistant to 100m. MSRP is 1'860 Euro.